According to CBS News, one out of every three companies would ax their executive management team. If they only could. By any interpretation, that’s a fairly stunning statistic. What the heck is up with that? How could that be? The guy in question was a former senior exec with a large multinational company. One doesn’t assume such a position without an impressive skill set of some sort. Further conversation (over Guinness of course) revealed the details. Experienced? No doubt. Intelligent? Exceptionally. Reputation? Praised on two continents. The issue? The man couldn’t jam to save his life. OK, what do I mean by that? Simply that it’s one thing to assume a leadership position, and quite another to actually get people following you. For all his accomplishments, this CEO – and his company’s employees and stockholders – would be better served if he exercised a few Jazz skills. LEADERSHIP IS DEFINED BY FUNCTION, NOT POSITION. There are two main responsibilities of leadership. The first is to establish and articulate the vision of the organization. (And notice it’s “vision,” not “mission.”) The second is to facilitate what we call Interactive Relationships of Reciprocal Influence. People operate much differently in an Interactive Relationship of Reciprocal Influence. Instead of focusing on personal agendas, the shared vision of the group becomes the primary performance motivator. Ultimately, the aggregate of talents and experiences is more compelling – and has a far greater effect – than the mere sum of individual skills. 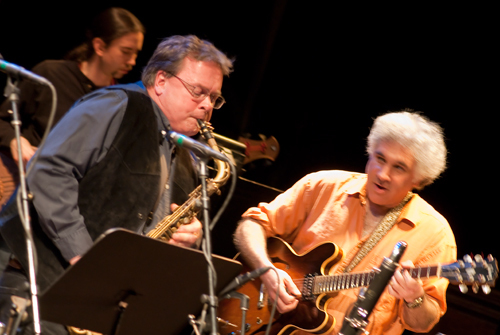 There’s a misconception that Jazz is wild and chaotic – everyone battling to out-perform the other. While unbridled competition may be the hallmark of the executive wing, if you watch any good Jazz group (and why are you watching bad Jazz? ), you’ll find something very different. Make no mistake, we’re talking about virtuoso players who love the spotlight – why else go to all the trouble to be on stage? But instead of competition, you’ll find cooperation. Much of the time, in fact, you see players holding back or not playing at all. The great British drummer Bill Bruford explains that playing Jazz is like having a musical conversation. And like any good conversation, you can’t have everyone speaking at the same time. You also can’t have one person always doing the talking. That’s not to say one can’t direct the conversation – how to improve the customer experience, for example. But one talks, then listens…preferably, doing more of the latter. If this sounds simplistic, it is. (There are times when “simple” rules the day.) When a CEO or other power player fails to listen as job one, it comes at a terrific cost. Problems aren’t fully understood, if at all. Crises aren’t averted. Possibilities aren’t considered. Opportunities aren’t acted upon. Creativity is squelched. New ideas are ignored. Worst of all, the expertise at the CEO’s disposal – the Aggregate Intellectual Capital of the organization – goes untapped. This is what my friend at the gig was trying to explain. His CEO wasn’t listening…to his managers, to the hourly employees, or to his suppliers or business partners. Worst of all, he wasn’t listening to his customers. This CEO had succeeded in becoming his company’s own self-limiting factor. Again, let’s contrast this with the Jazz group. In Jazz, the musicians are actively listening, watching, feeling out the other players, looking for the subtle cues that will open up the door to new performance possibilities. (For example, when the sax player is soloing, the drums and bass busy themselves keeping the rhythm. They’ll have their turn to amaze the audience soon enough.) Everybody is there to support everyone else – the band succeeds, or fails, together. 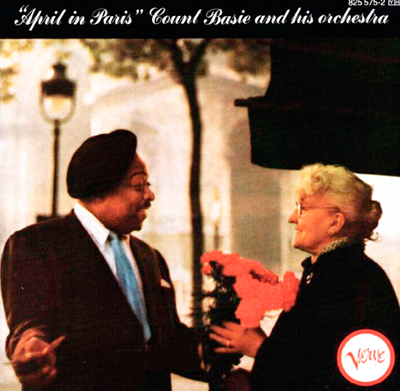 I was lucky enough to have seen the Count Basie Orchestra in the early 1980s. If you’re familiar with Basie, then you know his piano playing often diminished to the tinkling of a few keys. You also know his band could turn on a dime – from gently gliding on a breeze to barreling around a curve like a speeding freight train. And every performance, flawless. It takes great skill to lead at that level. But first, you’ve got to listen.